On Monday evening in El Paso, Texas, two very different images of the U.S.-Mexico border emerged. President Trump held a rally to make the case for his border wall again, repeating his usual talking points on the supposed dangers lurking in the region. Just a block away, former Democratic Representative from El Paso, Texas Beto O’Rourke held an opposing rally to counter the president’s claims on immigrants, refugees, border town safety, and the need for a wall. Both events were characterized as a final attempt to sway congressional leaders, who must come to an agreement on whether to provide border wall funding by Friday. These two demonstrations show just how easy it is to stir up the public around the issue of immigration, particularly when the backdrop is the southern border region. However, the truth is the communities along the U.S.-Mexico border are among the safest in the United States. 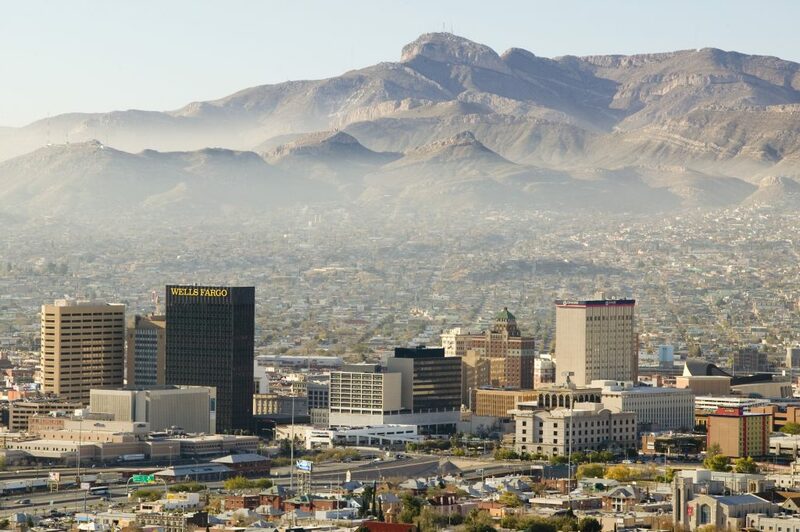 El Paso, the site of the two rallies, has been considered one of the safest cities in the nation for the last 20 years, long before any border fencing was built. New Mexico Governor Michelle Lujan Grisham was the first to withdraw troops from her state’s southern border last week. In total, 118 National Guard troops had been called to New Mexico, traveling from Arkansas, Kansas, Kentucky, New Hampshire, South Carolina, and Wisconsin. Other elected officials from border regions have opposed Trump’s rhetoric on the state of the border. Republican congressman Will Hurd, whose Texas district has the longest border with Mexico, called a concrete border wall “the most expensive and least effective way to do border security.” And Texas Representative Vincente Gonzalez recently pointed out that the border town of McAllen, Texas had zero murders in 2018 and ranks as the seventh safest city in the United States. The reality of many of these border communities is simple—they have low crime rates, residents feel safe, and their elected officials understand border security does not mean a border wall. In making its decision on border security funding this week, Congress should take a closer look at where the real problems are.